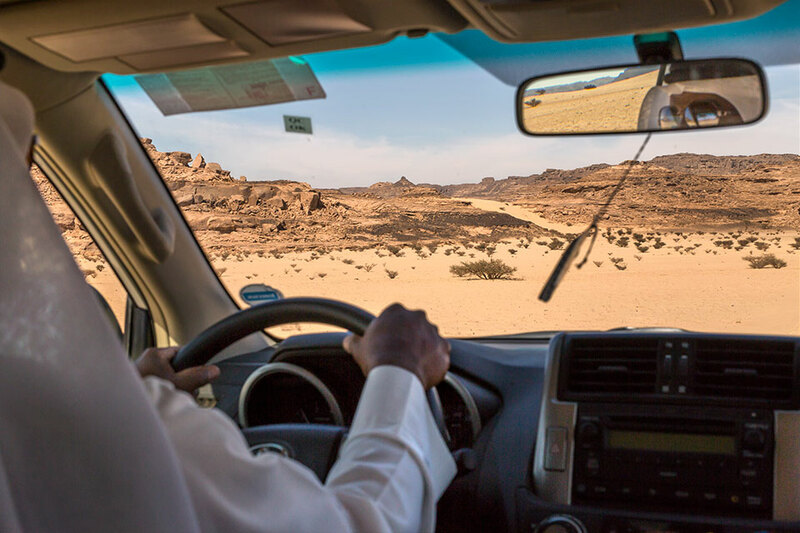 Bir Hima lies to the north of Najran in southern Saudi Arabia, on the edge of the great Rub’ al Khali desert. 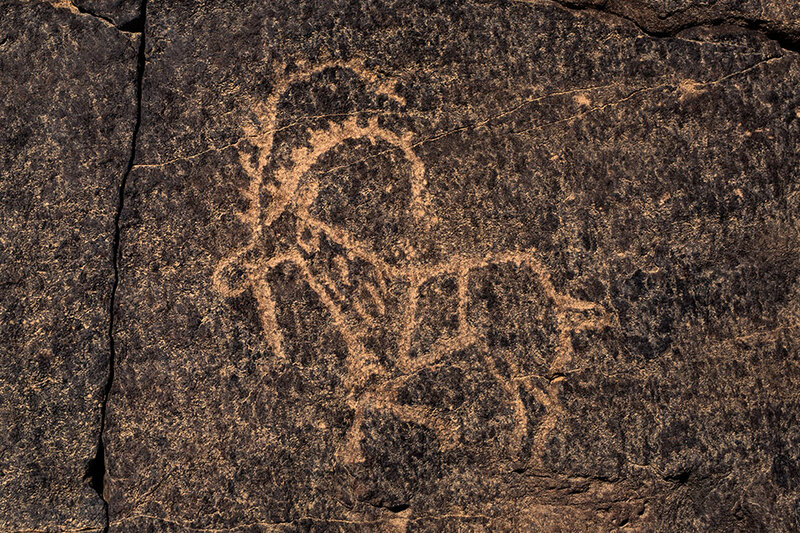 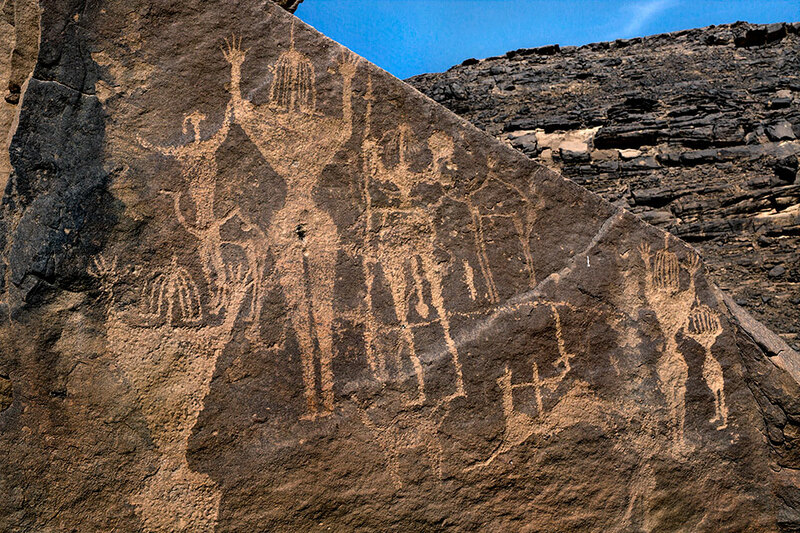 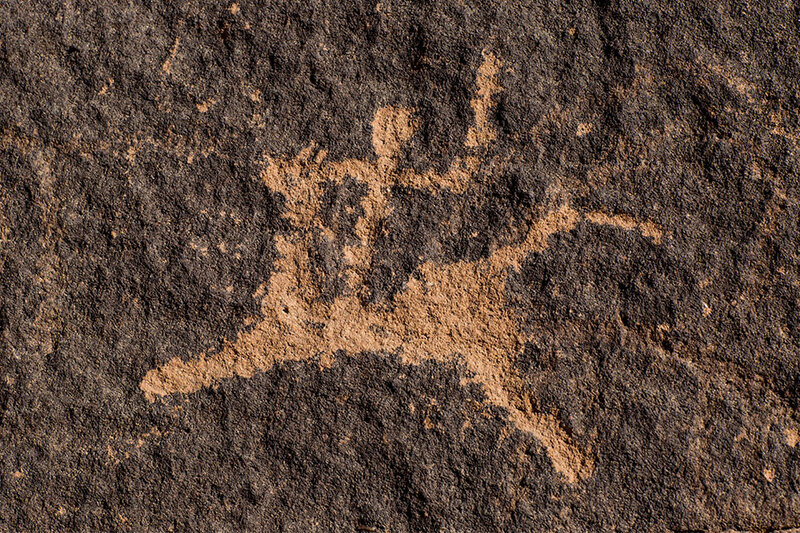 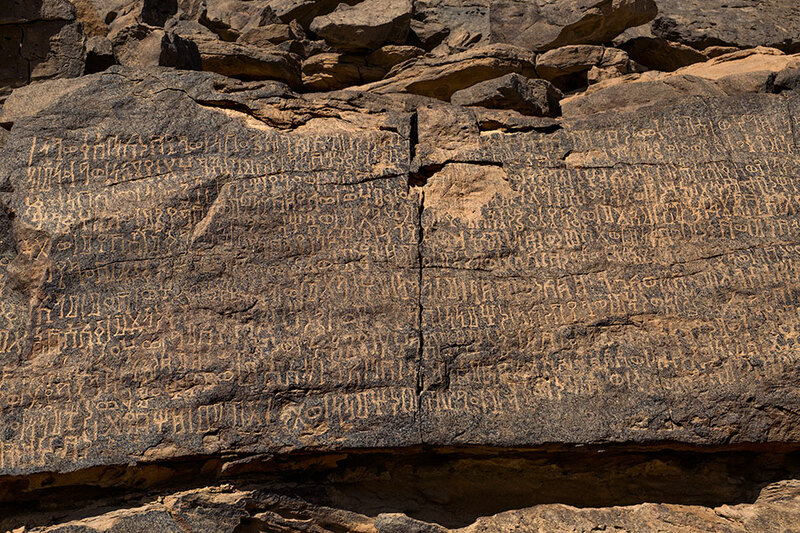 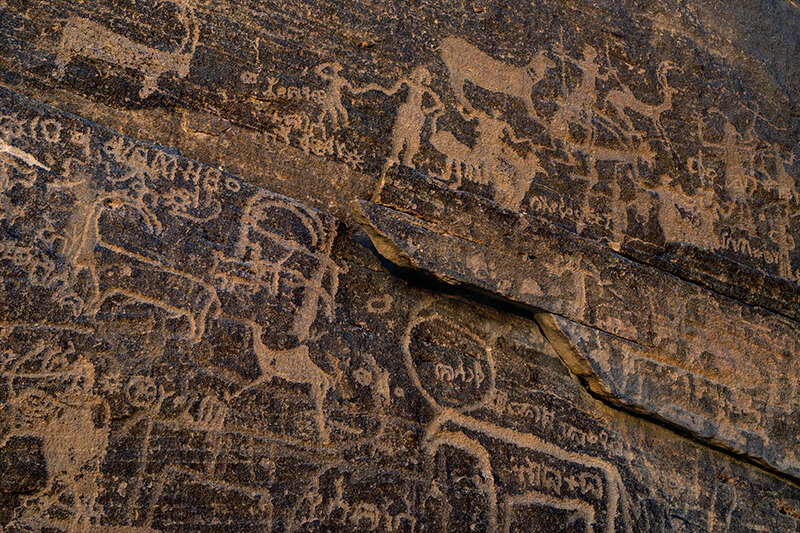 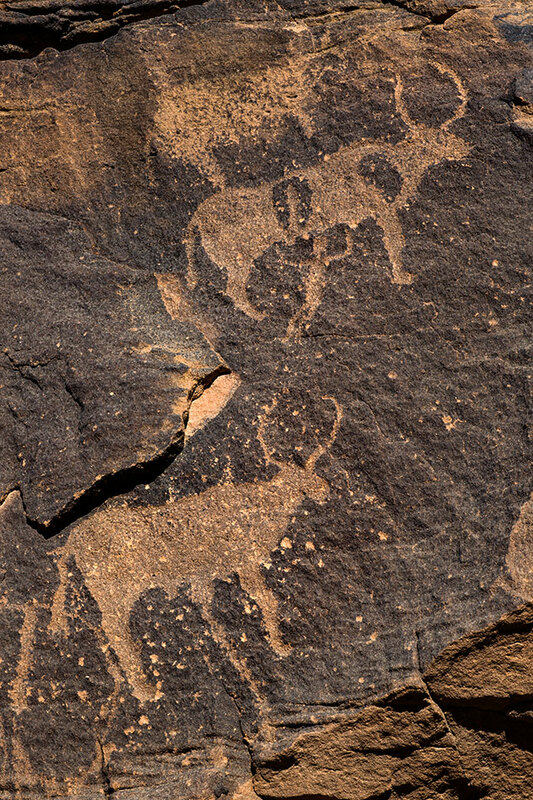 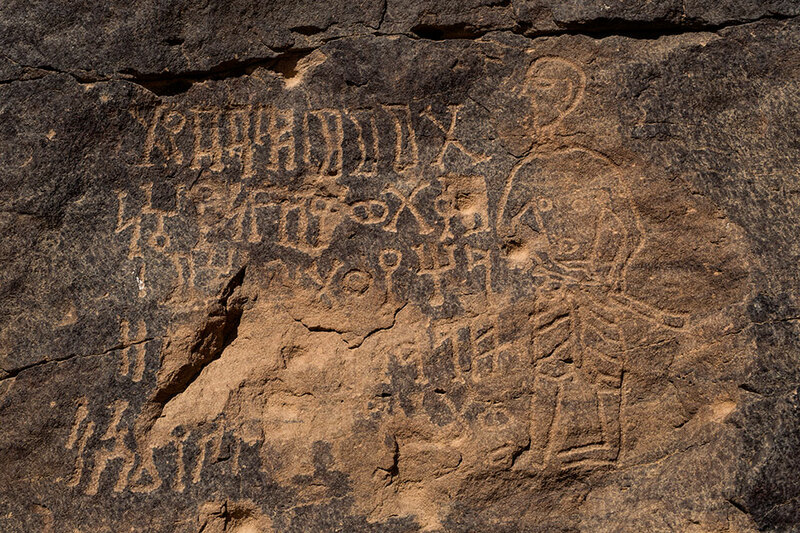 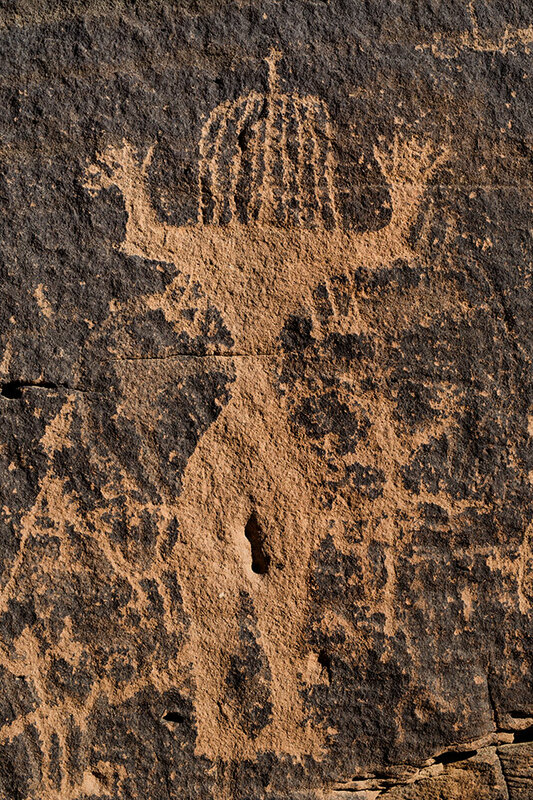 Around 300 individual sites contain petroglyphs (rock carvings) dating back to 5,500 B.C. 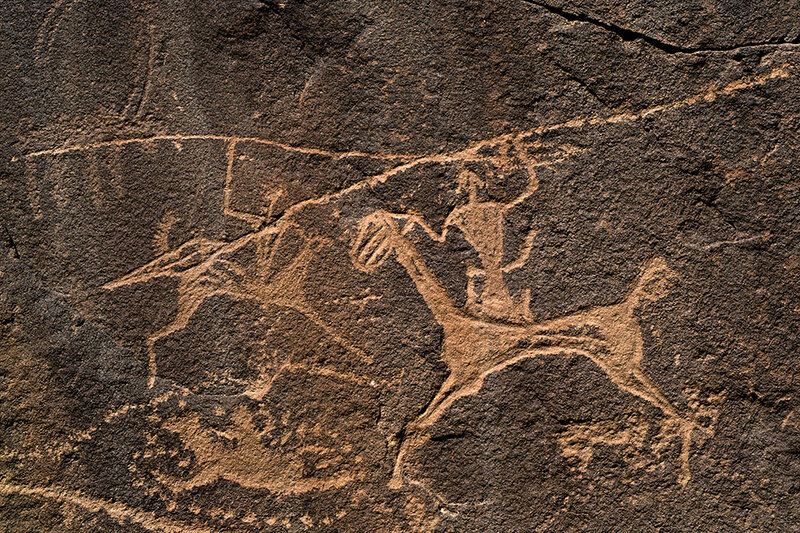 Human figures are shown in hunting scenes and performing ritual dances. 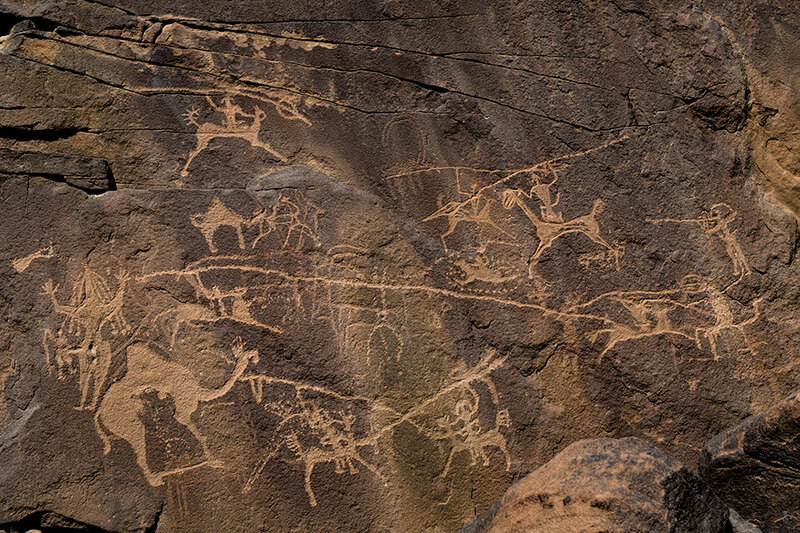 The drawings show that this region’s climate was cooler in ancient times, sustaining cattle, ibex, lion, baboons and even giraffes and ostriches. 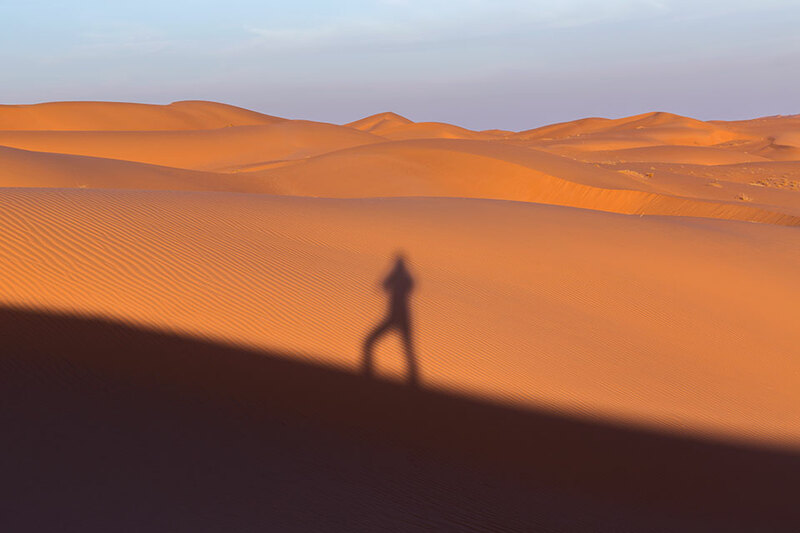 The Rub’ al Khali or ‘Empty Quarter’ is a vast desert, covering much of the southern half of the Arabian peninsula, and, at 650,000 square kilometres, an area larger than France. 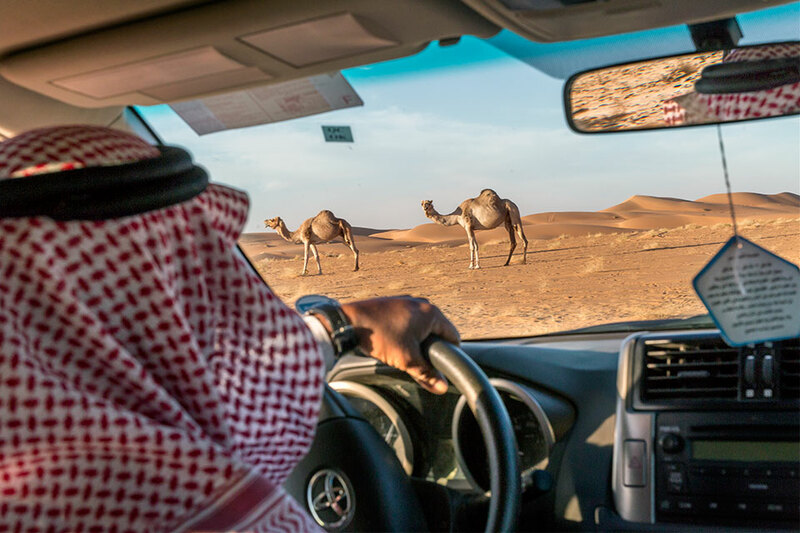 The harsh conditions of the Empty Quarter mean it has seldom been inhabited or even explored by humans. 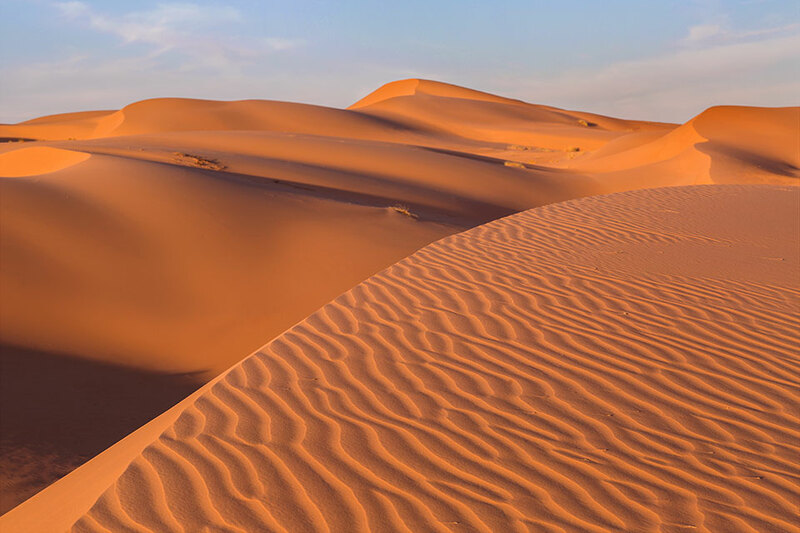 The sand dunes rise to 1000 feet and on an average summer day the temperature reaches 55 degrees centigrade.